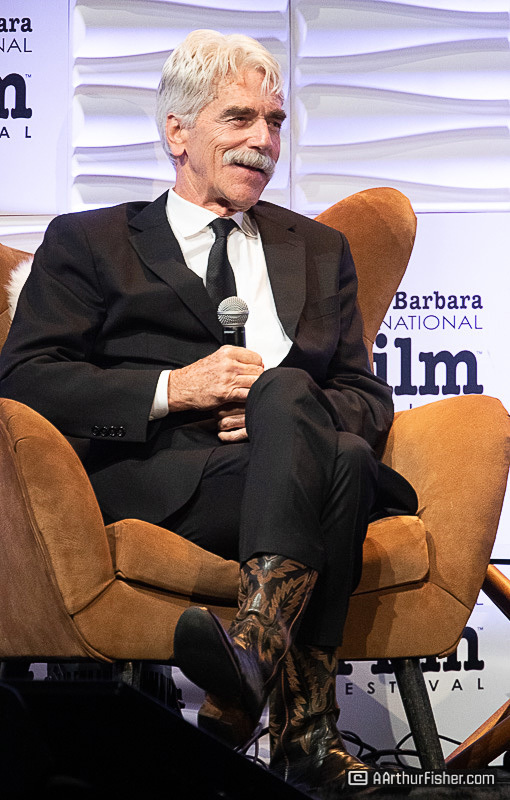 It was an unusually chilly night in Santa Barbara when the red carpet was rolled out in front of the Arlington Theatre welcoming the 2019 recipients of the Santa Barbara International Film Festival’s Virtuosos Awards. The award is given every year to actors who have had breakout performances. 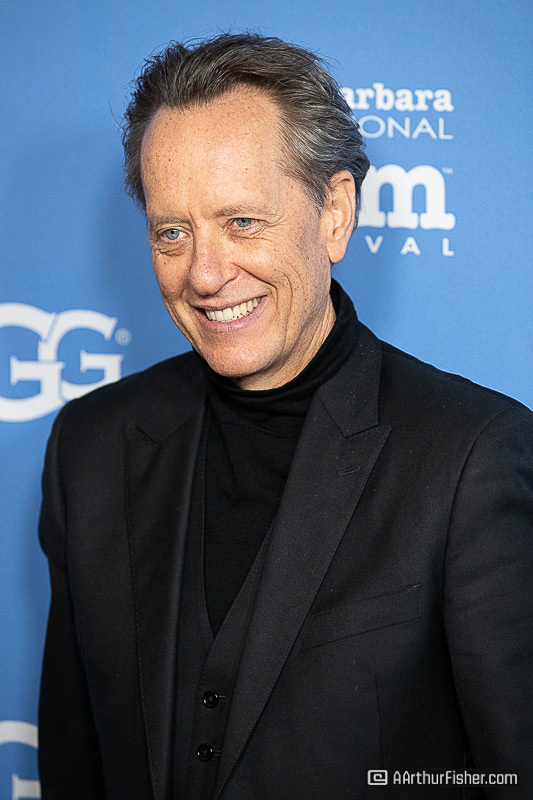 This year’s recipients included Yalitza Aparicio (Roma), Sam Elliott (A Star is Born), Elsie Fisher (Eighth Grade), Claire Foy (First Man), Richard E. Grant (Can You Ever Forgive Me? 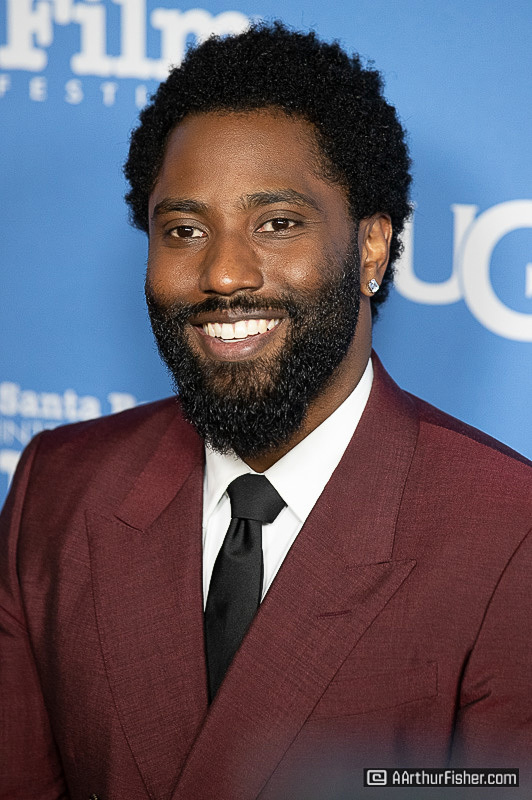 ), Thomasin McKenzie (Leave No Trace), John David Washington (BlacKkKlansman), and Steven Yeun (Burning). 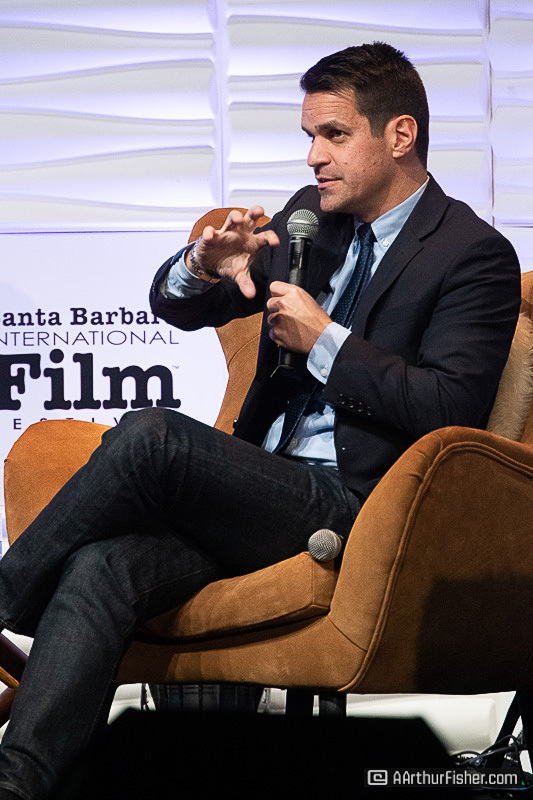 Moderating for the 9th year in a row, Turner Classic Movies host Dave Karger brought the stars out for an interview one by one, in reverse alphabetical order, before hosting a panel of 7 of the 8 award winners (Yalitza Aparicio will receive her award on another night) to close out the night. 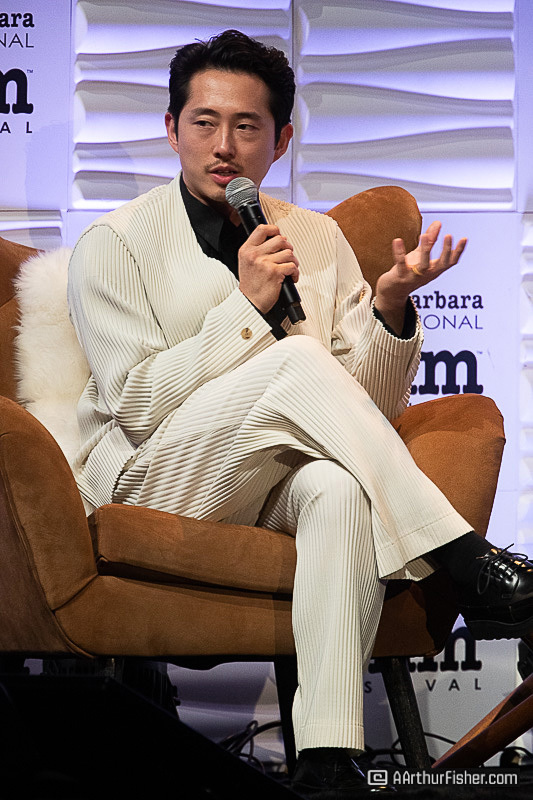 The first award winner he brought up to the stage was Steven Yeun. 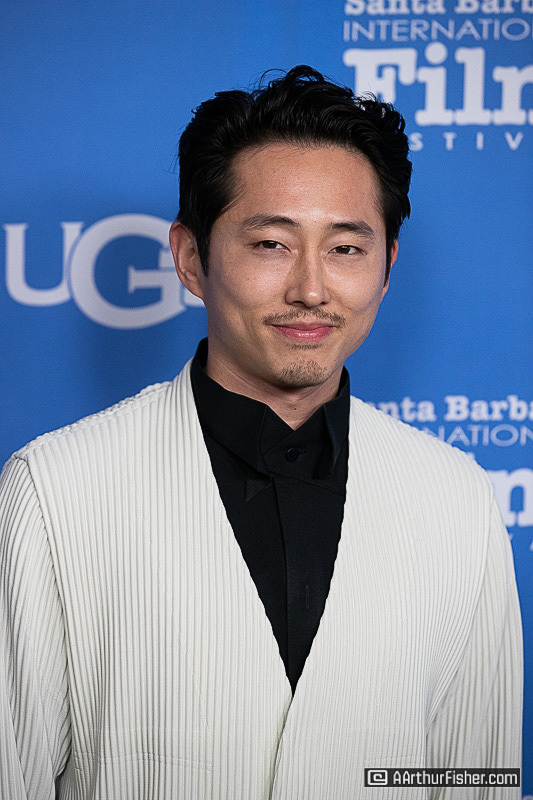 Known lovingly as Glen from the TV show The Walking Dead, Yeun was being honored for his breakout performance in the South Korean movie Burning. 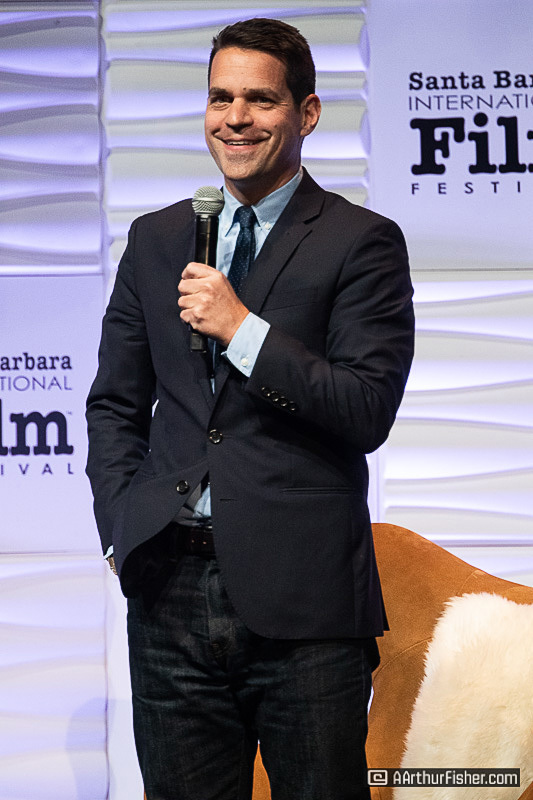 When Karger asked Yuen what it was like to return to South Korea, his birthplace although he’d been raised in the US, Yuen described it as “amazing, life changing.” Then went on to joke that during filming “the eyes of my parents were looming over my head.” Karger brought up Yuen’s roots as a comedian and in Chicago improv. “I think some of my improv friends are probably confused by the roles I’ve chosen,” he said. Though Yuen has moved onto more serious roles, he was funny and charming on the Arlington Stage. 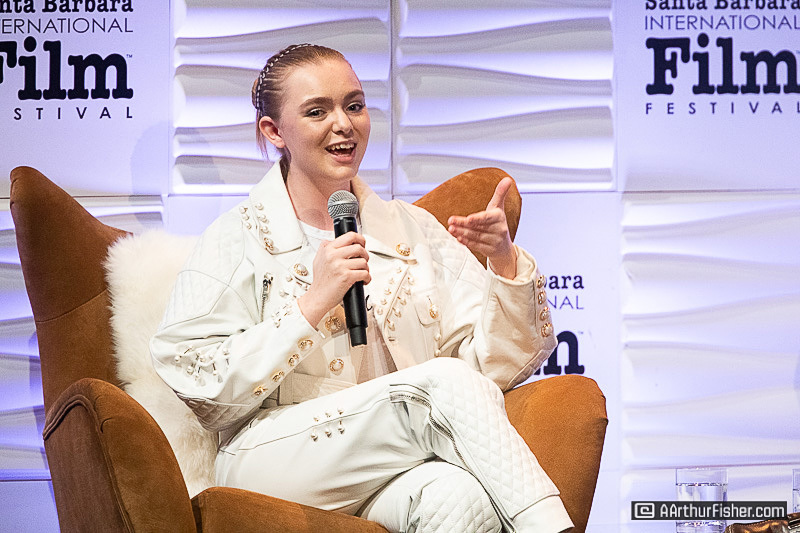 Australia’s Thomasin McKenzie, sounding wise way beyond her 18 years, was next on the stage. 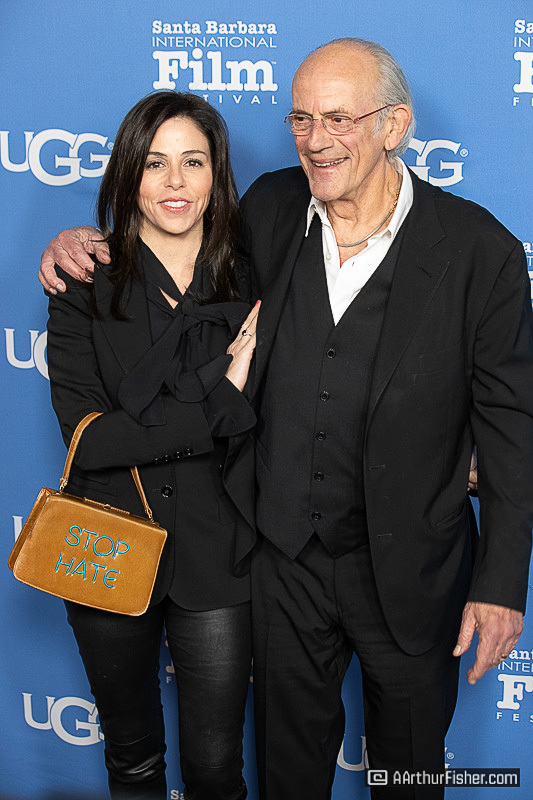 She was being honored for her role in the film Leave No Trace. McKenzie descends from a long line of actors; both her parents and grandparents are in the business. Her still working 91 year old grandmother was made a dame for being a female pioneer on screen. 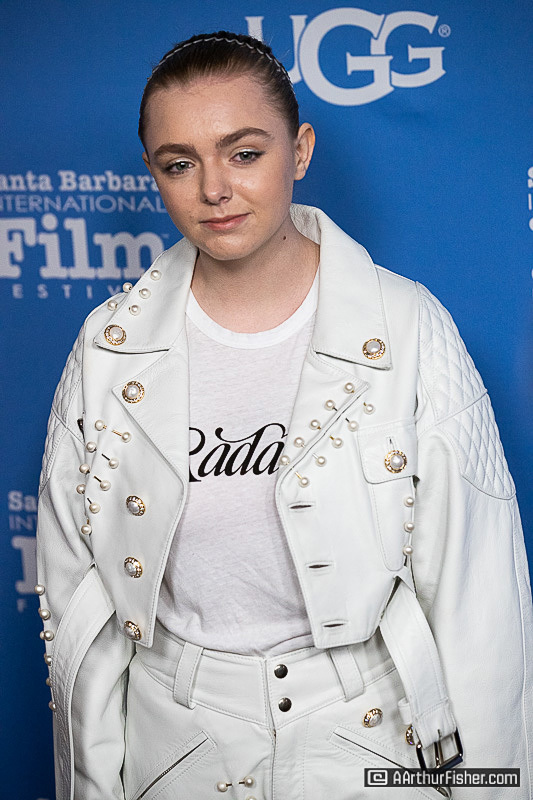 When asked how difficult it was to perfect an American accent for her film (which she does flawlessly) she admitted to working with accent coaches because “you don’t want to be doing American auditions with a thick kiwi accent no one can understand.” She went on to talk of a movie she did when she was 13, portraying a real life woman who was raped in Australia by policeman as a young teenager. It changed the idea of acting for her, she said, “it’s not putting on a performance. It’s not fakery, it’s being. 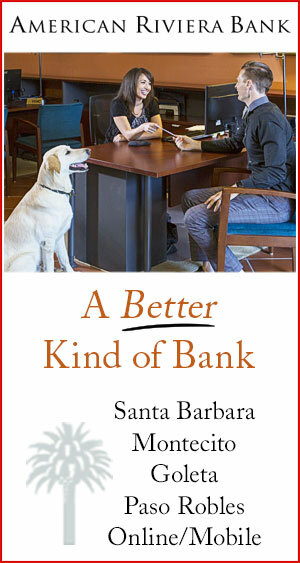 It’s an opportunity to tell really important stories.” To which she got a raucous applause. 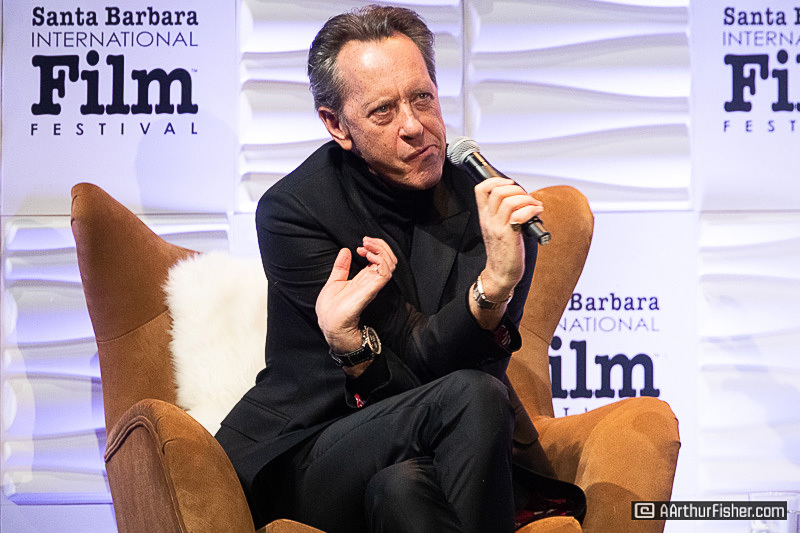 Richard E. Grant was being honored next for his role in Can You Ever Forgive Me? Nominated for an Oscar for Best Performance by an Actor in a Supporting Role, Grant was charming and funny on the Arlington Stage. 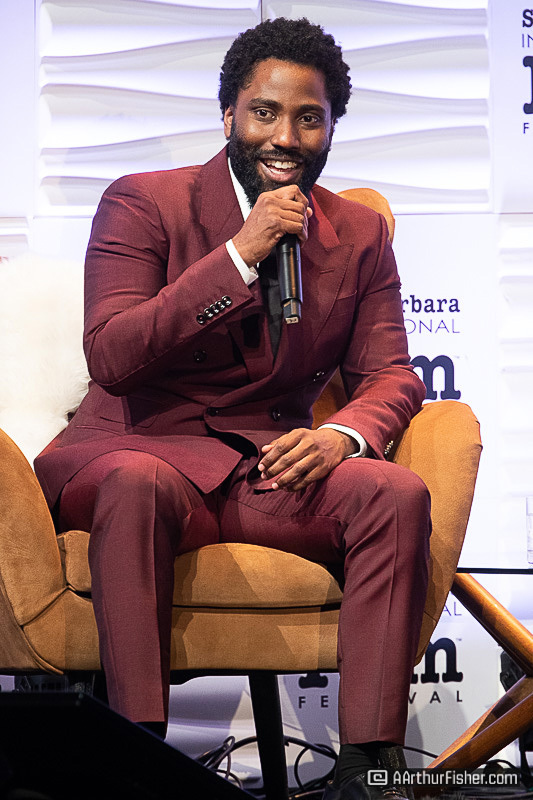 When speaking of attending the Oscars Luncheon, he described it as “Madam Tusssauds come to life.” Inevitably, he was asked about the undeniable chemistry he and Melissa McCarthy have in the film. He said it took him three and a half Nano seconds to realize he and McCarthy were going to work well together. “We started shooting on a Monday, and she’s having my twins in August,” he joked. In all honesty he said he hopes to work with her again soon. And that she feels the same way. “At the moment,” he added. 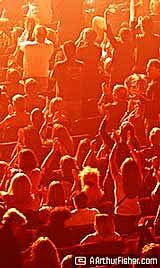 To close the night, all 7 of the attendees came back on stage to answer a few more questions. One question, in honor of the film, was what would be one word to describe yourself as an eighth grader? Dweeb (Foy), virgin (Grant), coward (McKenzie), confused (Washington), last chair violin (Yuen) and lost (Elliot.) The questions went on with film recommendations from each of the honorees. Elliot recommended BlacKkKlansman, Washington said If Beale Street Could Talk, Foy said Cold War, Grant said The Favourite, McKenzie agreed with The Favourite but also added Roma, Yeun recommended Shoplifters, and Fisher Hereditary. “It ruined my life!” she said. 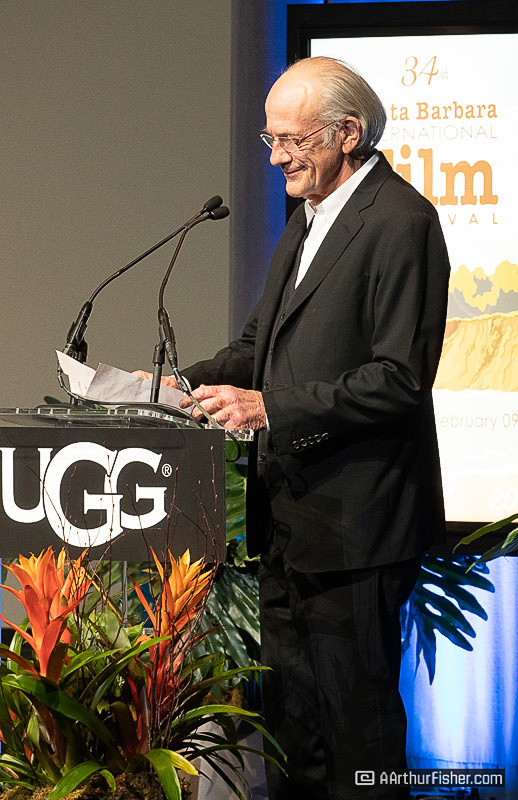 After all the questions had been answered, each honoree was presented with a golden Arlington Theatre-shaped Virtuosos Award by Santa Barbara’s own Christopher Lloyd. The evening proved to be glamourous, enlightening and a whole lot of fun. 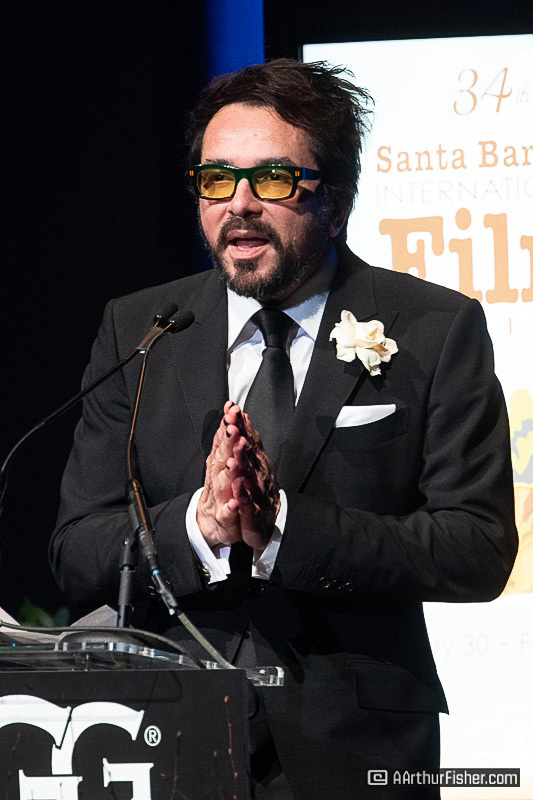 Proving, once again, that The Virtuosos Award is one of the many reasons The Santa Barbara International Film Festival is so special.